School registration management can be a time-consuming and complex task. However, using Classter will allow your school to easily and effectively handle school registration and student enrollment to several educational programs and curriculums. 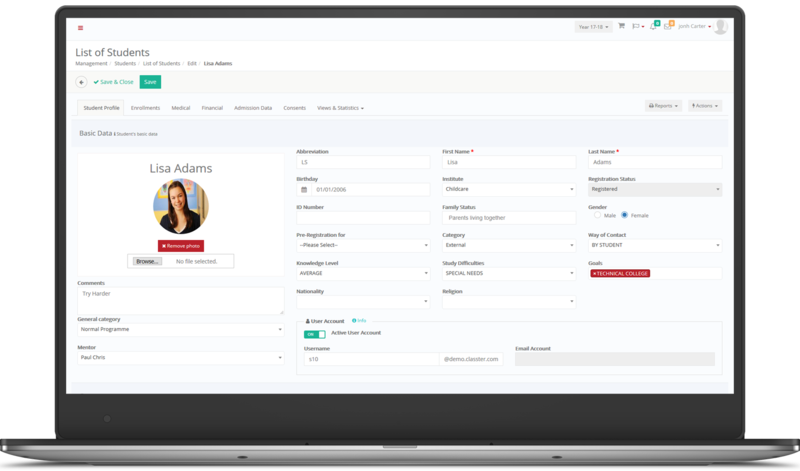 Manage easily your student’s multiple and complex registrations, store their personal, academic and behavior data and meet their individualized needs. Use the benefits of Classter’s timetable management for effective dealing with your daily schedule. Define your dynamic terminology and structure and enjoy the full functionality of Classter, as it is integrated with Moodle LMS and Office365.